How can you sum up the Malmö adventures of our Senior Interviewer in Malmo in just three minutes? Like this. We know that an interview with Terry rarely follows the party line, so we’d like to take this opportunity to thank everyone who appeared with Terry and joined in with all the fun in Malmö, throughout the National Final season, and the Preview Parties and Concerts. 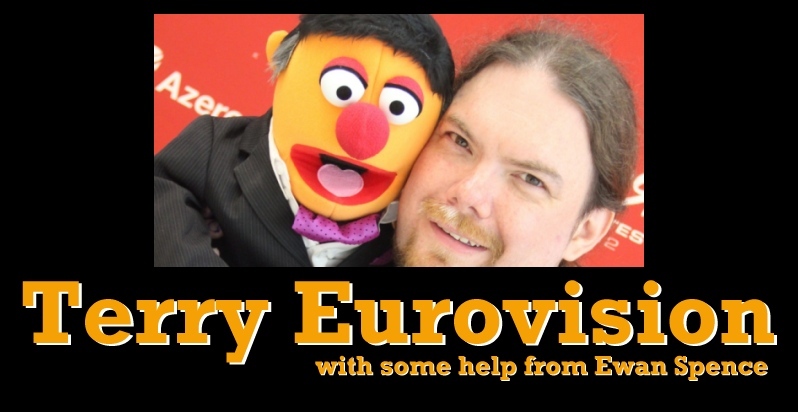 Terry and the team are going to take away some fantastic memories from the interviews, but in case you missed some of them, or just want a final slice of our Senior Interviewer as ‘Eurovision off-season’ kicks in, we’ve put together a highlights reel of his best moments, and put it to music. After winning through his heat to the Melodifestivalen Final, Ralf Gyllenhammar sat down with Terry Vision to talk about ‘Bed on Fire’. If Danny got to sing with Alcazar and Melodifestivalen, who would Gina like to duet with? Terry Vision decided to find out… and make it happen! In the green room at Melodifestivalen last week, Terry Vision caught up with the hosts of Sweden’s six week musical spectacular. Danny Saucedo was fresh from being on stage as the fourth member of Alcazar, and Terry was wondering if Gina had anyone she would want to duet with. After the evening Dress Rehearsal, Terry caught up with Ulrik Munther. The plan was to talk about musical influence, the good and the bad, and where Ulrik found his love for music. Unfortunately the interview didn’t go as planned…. Anke Engelke is probably one of the most popular presenters of Eurovision. Will the sparks fly when she meets our senior interviewer, Terry Vision? While the rest of the world’s press caught up Natalie Horner to ask if Cascada’s song was based on Status Quo’s ‘Whatever You Want’, Terry caught up with the host of Unser Star Fur Malmo, Anke Engelke, to find out if the real winner of the German National Final was Cyndi Almouzni La Brassa Banda. But the question everyone else wants Terry to ask is this…. is Anke’s diary is free in May 2014 to host another German Eurovision Song Contest ? We’re still picking up the pieces on Terry’s Danish adventures and who he found backstage, so bear with us, but his time with The Brotherhood of Man was spent trying to stop them singing their winning Eurovision Song. Did he succeed? Find out as our Senior Interviewer meets one of the most successful winners of the Song Contest of all time.